AED here is how I have Moxy attached, I wear tight SS on top, it is super solid, never had problem with it. > Right now I can take my SmO2 down to 10% and recover much easier then last year from 40-50% with way more comfort. in my case It has not much to do with Stroke Volume, but CO2 tolerance. Sebo, may I ask what you did to improve CO2 tolerance? In the nutshell, I didn't increase Vo2 max or my lung capacity, only CO2 tolerance. Urge to breath is "programmed" in us at very safe level and we have that urge well below actual O2 levels get low. Hi Sebo, thanks for the reply, makes sense. Especially as I was coincidentally just reading Patrick McKeown’s The Oxygen Advantage. Wondering whether you might have used the Moxy during those exercises - in order to measure progress or to avoid overdoing it? 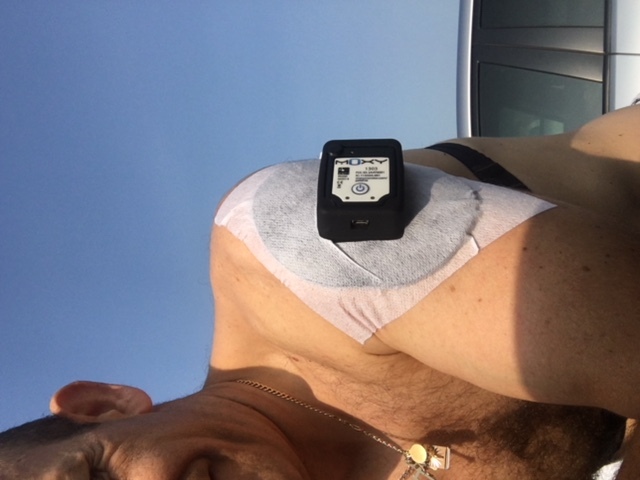 I have used moxy and finger oximeter during those exercises to monitor progress and due to curiosity. Initially at the very begging I was unable to change value on oximeter before extreme urge to breathe, I was at 98% and just had to take a breath. After some time when I first time dropped below 85% I was absolutely scared, I felt super comfortable and did not understand why it is so low. I'm sure everyone is different, after experimenting a lot I determined for me it is more important to concentrate on proper exhaling, than fast breathing. Fast breathing was actually making it worst, again everyone is different, so this is just my personal experience. That book looks interesting, I will try to buy it. Overall CO2 tolerance is something you can very quickly improve with relativity little time.